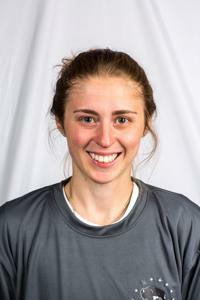 In her 116 games at Minnesota, Leville amassed a .947 save percentage and a 1.18 goals allowed average. She earned All-USCHO Second Team honors, was named to the WCHA All-Academic Team and was a Academic All-Big Ten honoree, and was named to the NCAA Frozen Four All-Tournament Team. In international play, Amanda won gold with Canada’s National Women’s Development Team at the 2016 Nations Cup.